It was at a party in February 2017 that Greg and Rosie first played together, jamming around the bonfire. Later that year they decided to pool their collective talents, skills and experience in the music industry to play gigs, festivals and parties together on a more regular basis – thus was born the duo. 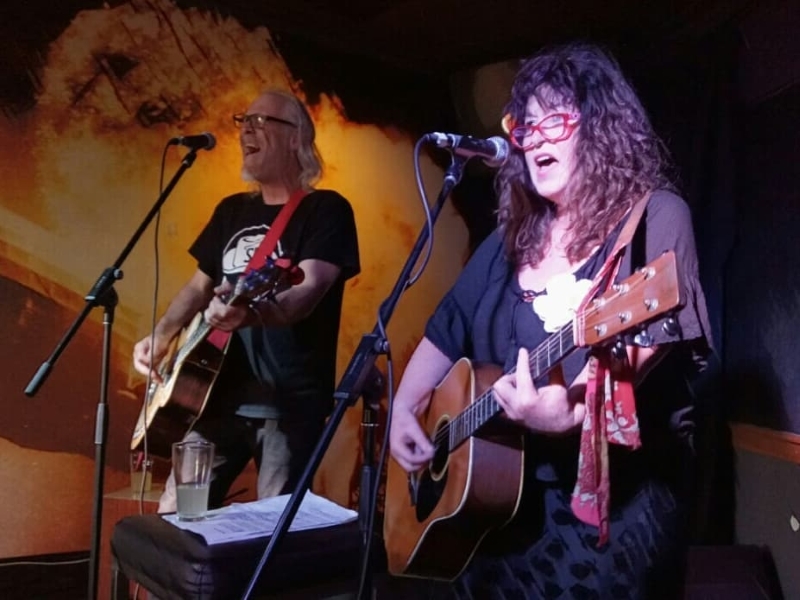 Armed with a bunch of songs that are a mix of Rosie’s originals and renditions by artists such as Townes Van Zandt and Velvet Underground, Rosie and Greg have created a sound that is a unique blend of roots genres. Dark, electric folk blues; melodic, harmonic, edgy and rhythmic.